November 2, 2010 - Raytheon Company has won a contract to upgrade the Center Display Unit (CDU) of U.S. Air Force Reserve and Air National Guard F-16 aircraft. The initial contract value is $3.1 million for system integration and pre-production units. The contract includes options for production of up to 120 systems per year for five years. The Raytheon CDU will replace multiple analog flight instrument displays currently used in the F-16 cockpit with a single large-LCD color display. Advanced technology will provide pilots with new capabilities, including the ability to overlay data from both onboard and remote sensors on a digital moving map, video processing, and two-way data-link situational awareness messaging. Raytheon Technical Services Company LLC (RTSC) will perform engineering and low rate initial production on the system at its site in Indianapolis under the initial contract. The contract includes five optional years of full rate production. "The CDU will be a significant advance in providing information F-16 pilots need to conduct their missions," said RTSC Customized Engineering and Depot Support Vice President Wayne Iurillo. "Giving them the data they need, when they need it, will help ensure their effectiveness in the battle zone, their ability to protect and support ground forces, and their safety while performing their duties. And that's the ultimate goal." The General Dynamics F-16 Fighting Falcon is a multirole jet fighter aircraft originally developed by General Dynamics for the United States Air Force. Designed as a lightweight, daytime fighter, it evolved into a successful multirole aircraft. Over 4,400 aircraft have been built since production was approved in 1976. Though no longer being purchased by the U.S. Air Force, improved versions are still being built for export customers. In 1993, General Dynamics sold its aircraft manufacturing business to the Lockheed Corporation, which in turn became part of Lockheed Martin after a 1995 merger with Martin Marietta. The Fighting Falcon is a dogfighter with numerous innovations including a frameless bubble canopy for better visibility, side-mounted control stick to ease control while maneuvering, reclined seat to reduce the effect of g-forces on the pilot and the first use of a relaxed static stability/fly-by-wire flight control system that makes it a highly nimble aircraft. The F-16 has an internal M61 Vulcan cannon and has 11 hardpoints for mounting weapons, and other mission equipment. Although the F-16's official name is "Fighting Falcon", it is known to its pilots as the "Viper", due to it resembling a viper snake and after the Battlestar Galactica Colonial Viper starfighter. In addition to USAF active, reserve, and air national guard units, the aircraft is used by the USAF aerial demonstration team, the U.S. Air Force Thunderbirds, and as an adversary/aggressor aircraft by the United States Navy. 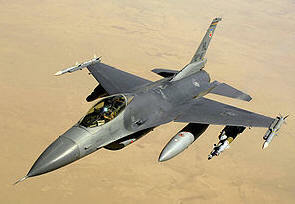 The F-16 has also been selected to serve in the air forces of 25 other nations. Zenith Aircraft Offers Kit Builders Opportunity To "Try Before You Buy"